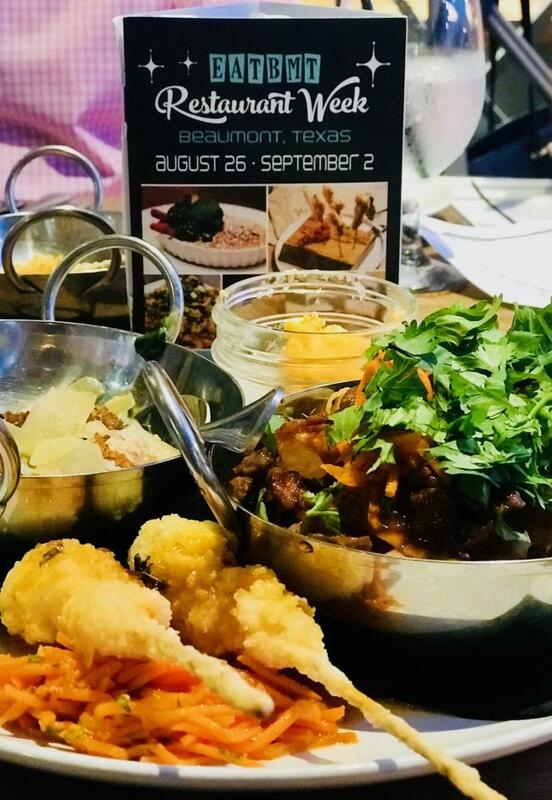 Nestled in Cajun country with prime access to pristine Texas beef and coastal seafood, the restaurant scene in Beaumont is driven by locality. 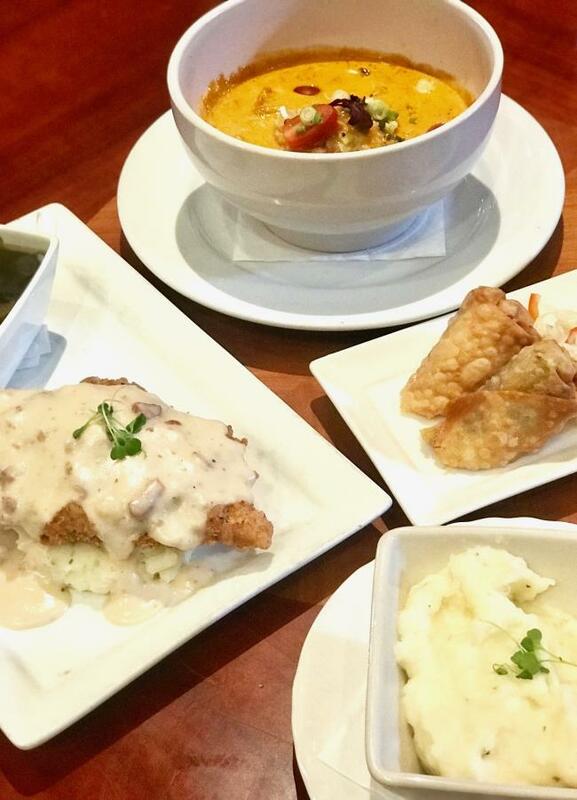 Drawing inspiration from a melting pot of ethnic groups, no matter what your mood or craving, there’s a restaurant to tempt and tantalize the palate. If you’re ready to talk foodie to me, here’s where to eat and indulge in Beaumont. It’s not a white tablecloth restaurant, but it is red for romance. One of the swankiest spots in town, people come for the Grill’s epic happy hour and stay for the live music on the patio (Thursdays and Saturdays). 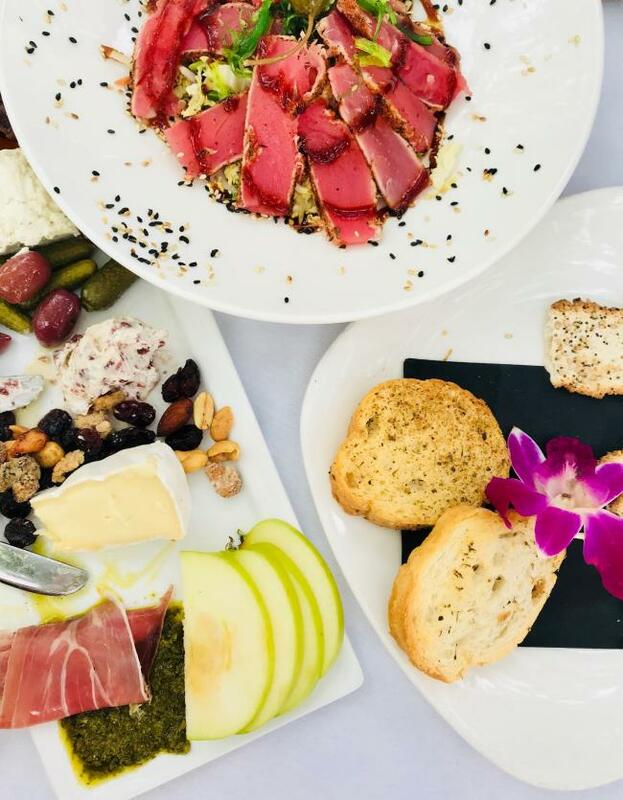 With 50% off cocktails and beer and 25% off wine, it’s easy to find a perfect pairing to sip and swirl alongside one of their succulent steak or seafood platters. Pro Tip: Don’t miss their epic Oktoberfest event. Green Light Americana is the sister restaurant to the popular fast-casual lunch spot, Green Light Kitchen. The hip and eclectic interior features a playful menu of deconstructed and reconstructed childhood favorites, many of which are elevated by unexpected cooking techniques on Big Green Egg (yes, even vegetables). You’ll find everything from Korean BBQ Nachos and Shrimp Corn Dogs to dishes with German and Asian inspiration that are as unexpected as they are tasty. Be sure to save room for dessert because the goat cheese cheesecake and banana pudding (served half hot, half cold) are worth the splurge. J. Wilson’s is where you go when you want home-style comfort food but are too lazy to actually cook it in your own home. The place where everyone’s a regular and owner John, is a familiar face, their brunch game is the weekly town to-do. 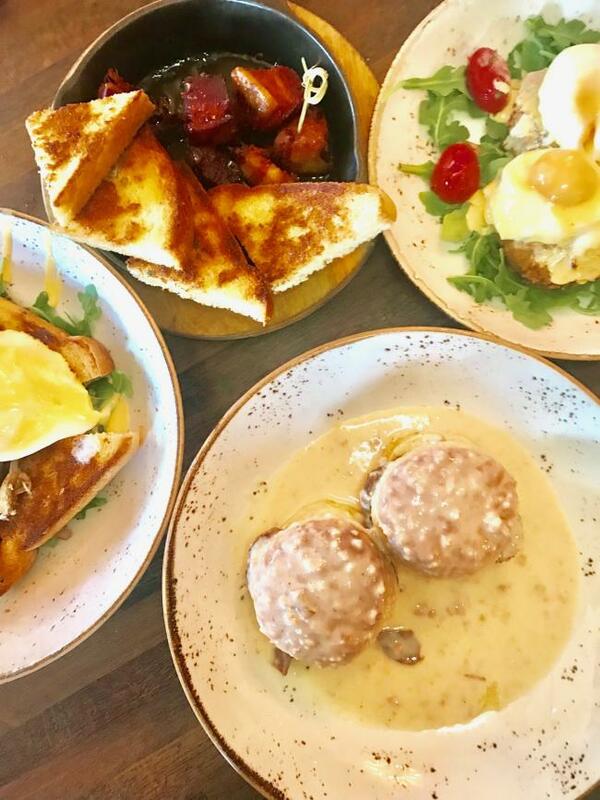 Whether you’re craving sweet or savory, dishes like Kahlua French Toast and Moroccan Eggs push the envelope on downhome southern cuisine. Be sure to get a side of man candy (bites of sweet pork belly) or two because your dining mates will likely be fighting over it. The epitome of a family run operation, Tacos La Bamba started out as a father-son duo and has since morphed into a brother-sister venture. Carlos used to sell his tacos out of the back of a video store, but word spread like wildfire and the tacos quickly became the star of the show. True Mexican cuisine (not Tex Mex), the hand-painted tables and murals reflect the culture and are the ideal setting for festive celebrations and gatherings for Lucha Libre and Dia de Los Muertos. 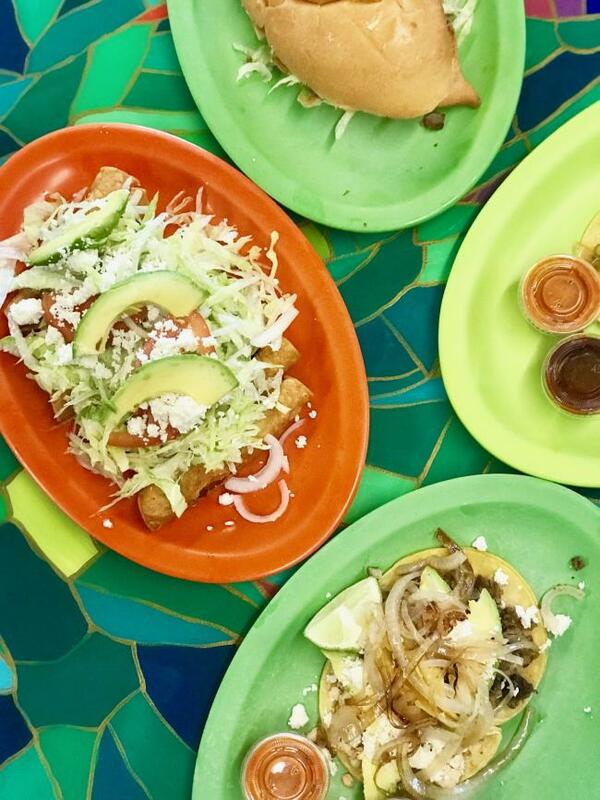 Their Taco Tuesday deal is the best in town – 20 tacos for $20, but it was the tortas that are a really big hit. If you’re an especially adventurous eater, they also offer off the menu items made with less traditional animal proteins. Sensory overload in all the right ways, Koi Sushi’s neon lights seem to jive in tune to the pulsating house music. Sink down on their velvet couches and get comfy because dining feels like a big night out on the town. 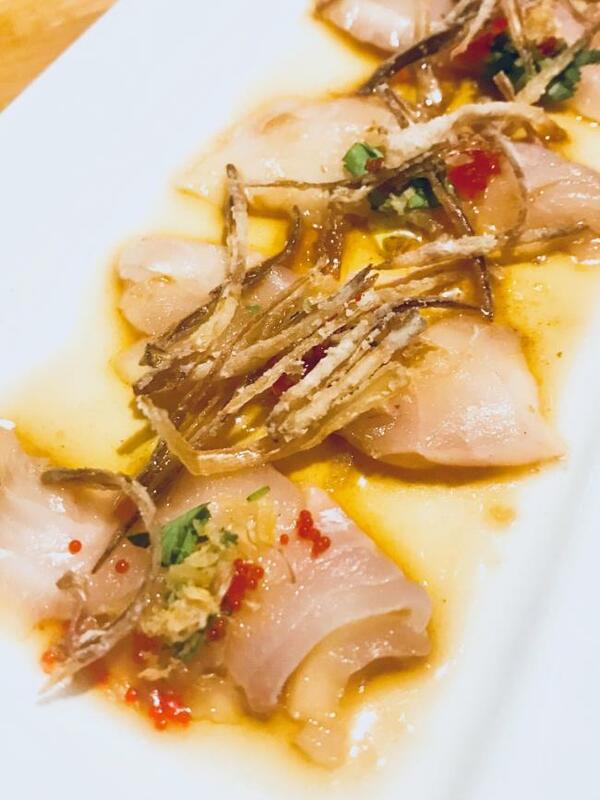 Known for their fresh fish, creative combinations, and real wasabi (if you dare), there is also the option to get any roll made “Tony style,” a personal twist from the owner himself. Part of the largest locally owned hospitality group, Madison’s toes the line between bar and restaurant. They serve delicious food but are more an after-hours spot to imbibe. Known for their killer patio, a few of the partners are actually musicians themselves so you’re likely to find live music or form of entertainment most days of the week. 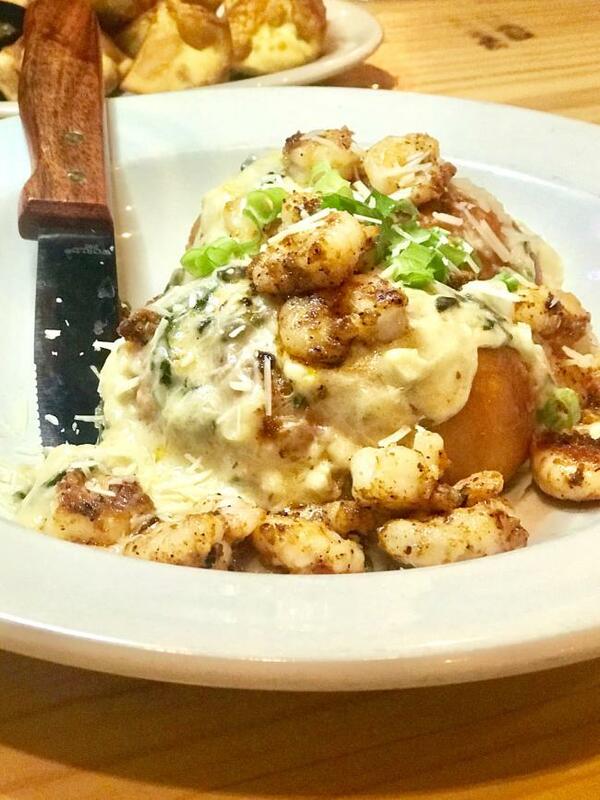 Try the lazy pistolette, their take on the Louisiana staple, seafood stuffed buns, with the sauce slathered on top. 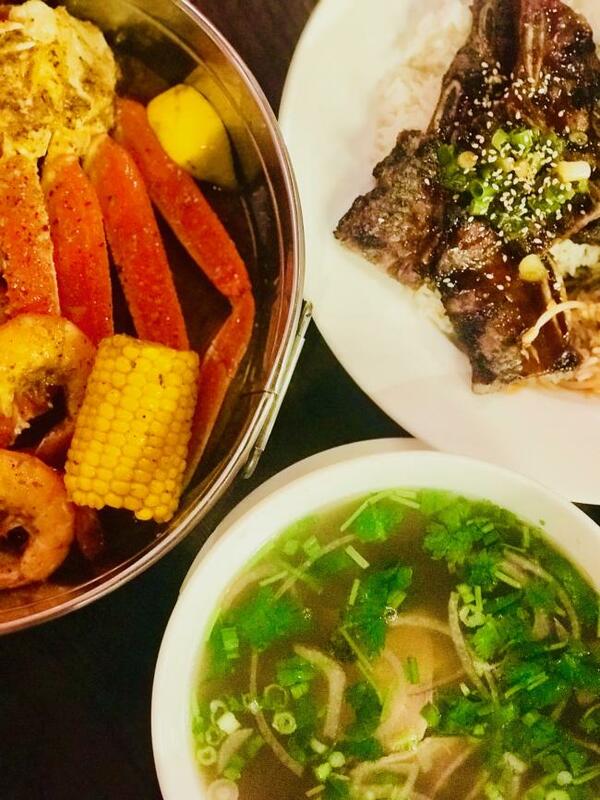 One of those fusion confusions you don’t expect to go together but magically just works, Sweet Basil is first and foremost a Vietnamese Noodle House, but their creative Asian Cajun delights are the perfect example of embracing the environment. The Seafood Shebang is a true feast for the table with boiled crab, shrimp, and crawfish doused in scratch-made garlic butter sauce that’s lick the bowl good. Don’t miss the sweet and spicy hot mess fries topped with ribeye, which the owners lovingly tested on their own children as guinea pigs. The oldest bakery in southeast Texas, Rao’s is another family affair. Johnny Rao started selling his baked goods in the commissary of Magnolia Petroleum Company (formerly Exxon Mobil), garnering enough fans begging to open his own spot. That was in 1941. He owned and operated the European-style bakery until the 1970s, when it changed hands a few times, finally settling on the current father-son duo who have been managing the landmark since the 1990s. They expanded with a few more stores, added an Italian touch, and really made it their own. 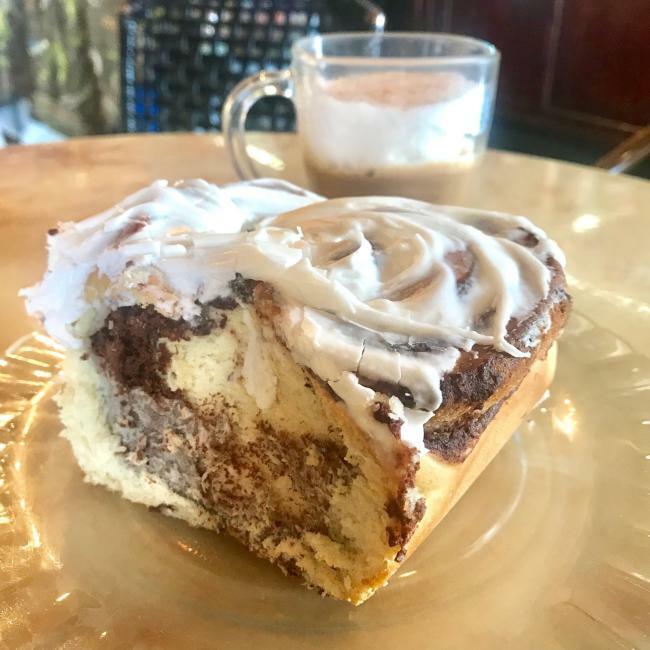 Known for their homemade gelato, Boudreaux brunch rolls (sticky buns topped with brown sugar, nuts, whiskey, and bacon), bourbon cookies, black bean burritos, meat and jalapeño kolaches, and breakfast sandwiches, whether you opt for a sweet or savory creation, either is a solid start the day. Upscale Cajun cuisine, Suga’s offers both dinner and live entertainment with everything from music and movies to dancing and their acclaimed jazz. The building itself is listed on the National Register of Historic Places and was once a part of the illustrious Texas Red Light District. The epitome of “if walls could talk,” years of Southern tradition remain as whispered tales of years gone by. Known for their homemade ice cream, shrimp and grits, and robust roux, it’s the perfect place to do a true etouffee and gumbo tasting. Carmela’s just opened their second location after outgrowing what started in a tiny Dairy Queen. 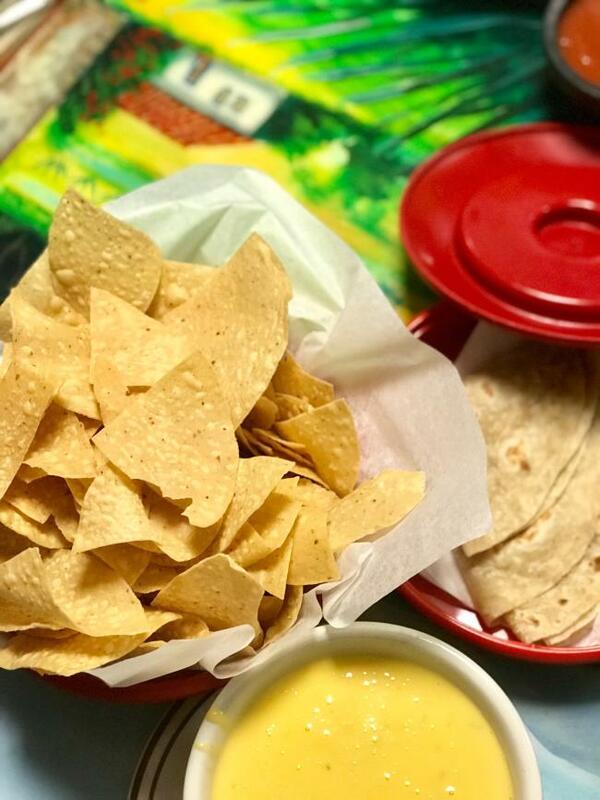 Now a local institution, they’ve topping not one but two lists of best queso in Texas, and the melty, cheesy goodness is a thing of dreams. They claim the secret to their success is having the same chef for 17 years, which ensures the recipes remain authentic. The festive, colorful interior is Aztec themed and they offer both Tex Mex and traditional Mexican dishes (get the mole). If you’re looking to “Laissez les bons temps rouler,” year-round, Tia Juanita’s has a distinct Mardi Gras vibe with cocktails and frozen drinks that will knock you on your bum if you’re not careful. 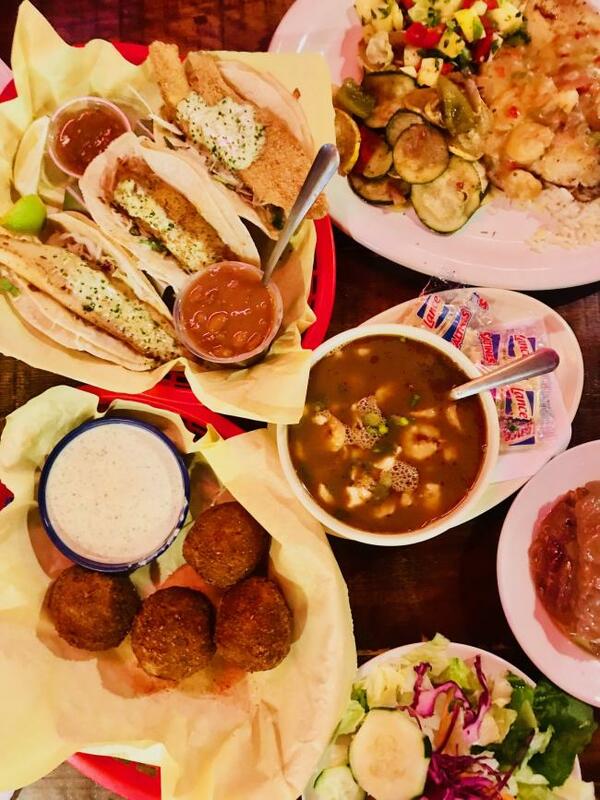 A festive atmosphere with live music, it’s also a party in your mouth with the likes of fish tacos, boudin balls, pot-pie style pistolettes, and a super craveable mashed potato salad. 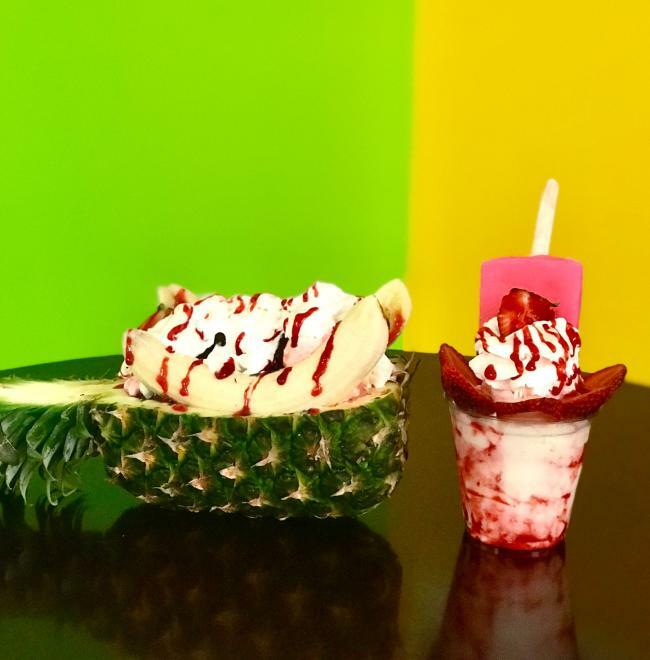 With a picture menu that’s overwhelming in both size and breadth, La Real Michoacana specializes in desserts made for Instagram. A crazy Mexican ice cream shop, their elaborate fresh fruit creations dish up sundaes in pineapples topped with things like Mexican spices and chicharrones. Their homemade horchata, snow cones, and popsicles also come in unique flavors like prune and cotton candy and the sky’s the limit with how adventurous your taste buds are willing to go.